You darn youngsters nowadays with your cassette tapes, your Barry Manilow and your Cattanooga Cats don’t know anything about good, quality animated entertainment! 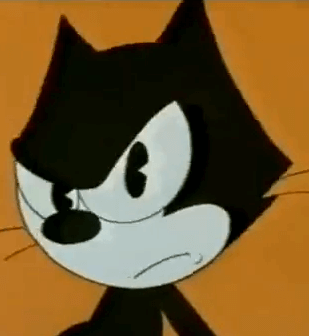 Back in my day there was only one anthropomorphic cat worth their weight in yarn and that’s Felix the Cat! 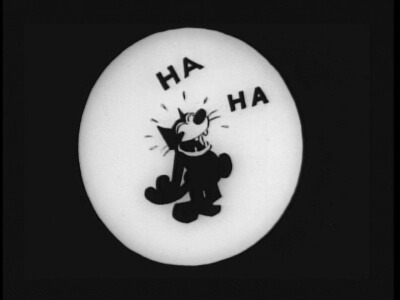 Generational gatekeeping aside, I did actually really like Felix when I first encountered him in his 1988 movie, Felix the Cat: The Movie. Fortunately for me, I was a very stupid child and didn’t realize how absolutely terrible it was. So, I watched it over and over and over until my parents literally forbade it. Seriously. It’s so bad. Watch it to enjoy how bad it is. But it is where I learned the word apparatus, so that’s something. 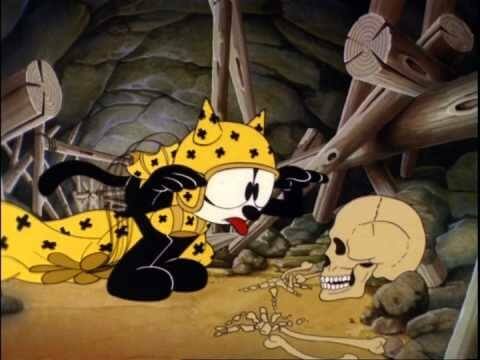 But going back to ye olden days of yore, there was actually a time when Felix the Cat was the top dog. 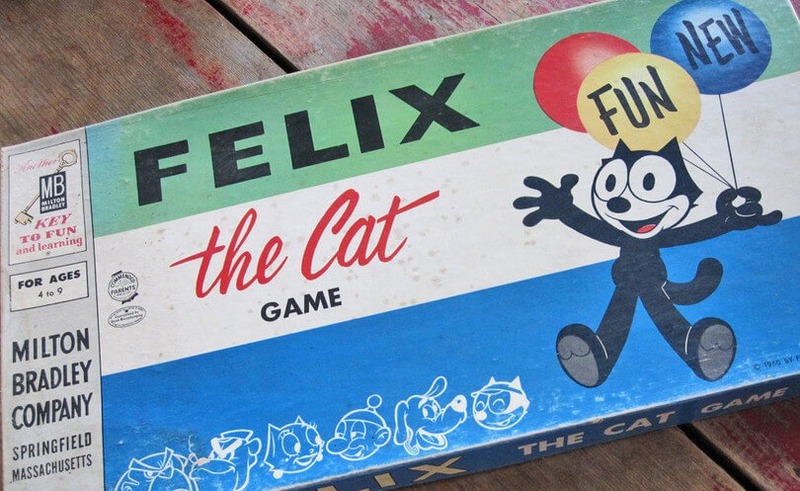 So it should come as no surprise to anyone at this point that Felix also got himself a board game. Unfortuntely, the board game might be even worse than the movie. Which is actually pretty impressive, frankly. The game was originally released in 1960 by Milton Bradley with a second printing in 1968. 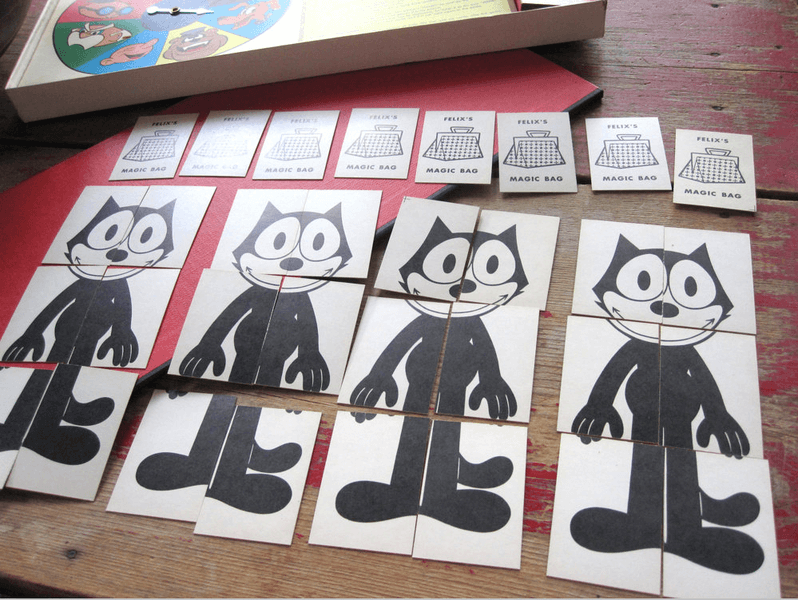 At the start of the game piles of Felix the Cat cards are dealt out onto each of the 8 spaces on the board, each featuring one of Felix’s friends! Felix With a Red Hat, Felix With a Blue Hat, Definitely Not Pluto, and many others! And, of course, let’s not forget everyone’s favorite and Felix’s love interest, Capt. Deadeyes! …. er, I mean, Killy! oh, sorry, I mean Kitty. Some joking aside, I don’t know much about the Felixverse, but I didn’t recognize this character at all. And after lots of Google searching, I’m PRETTY SURE they just made this character style up. 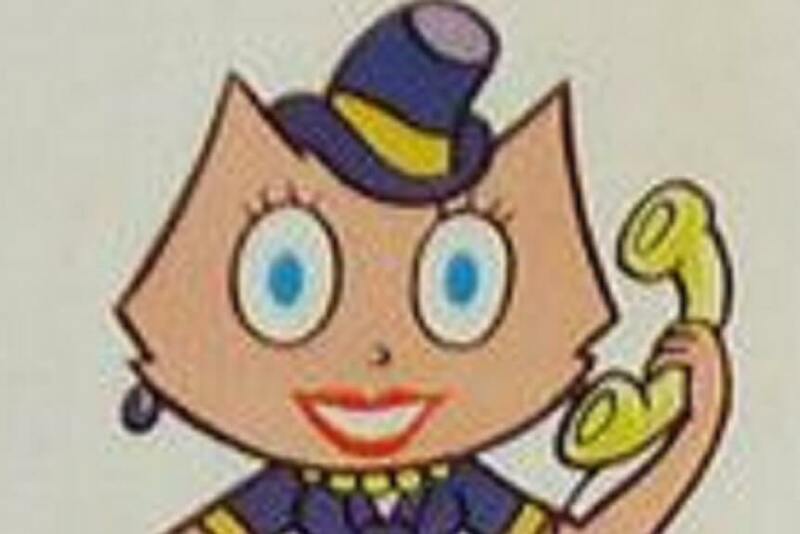 The actual Kitty looks NOTHING like this hatted monster using her brain powers to make me steal the crown jewels. Baby Kitty just raises more questions than answers. Either way, that’s enough nonsense. I’m sure you’re as eager to learn about this game as I am to not have to talk about it anymore. So, let’s do that. 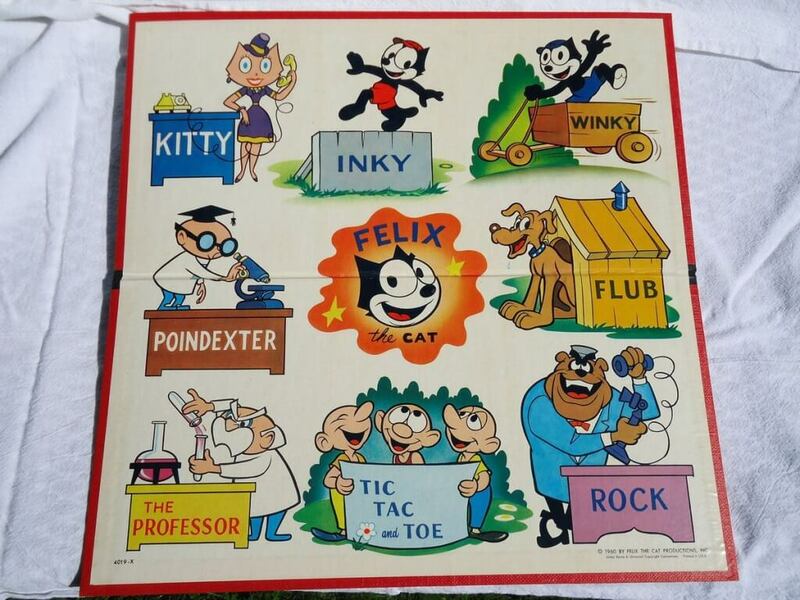 After setup, each character on the board has a number of Felix cards placed on them. Then players take turn spinning the spinner and drawing a card from that character’s space. These cards will either be a piece of Felix or a Magic Bag card. If it’s a Felix piece, the player places it in front of them, attempting to complete the 6-piece puzzle that is Felix. If it’s a Magic Bag card, they place it in front of them. We’ll discuss how Magic Bag cards are used later. It’s actually pretty interesting, so look forward to that. If a player draws a Felix piece that they already have, they keep that card in their hand instead. Then if any player spin lands on a space with no remaining cards, or any other time they choose to, they may draw a card from another player’s hand instead. 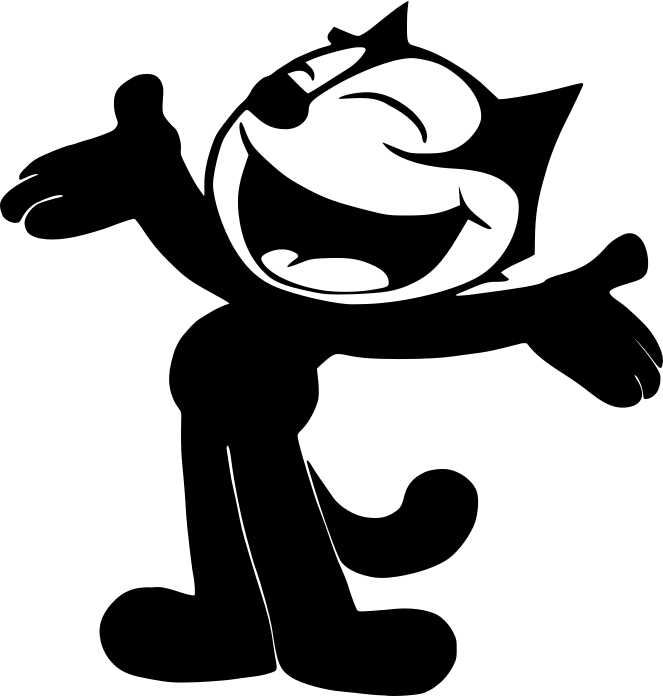 The first player to complete their picture of Felix the Cat wins the game! 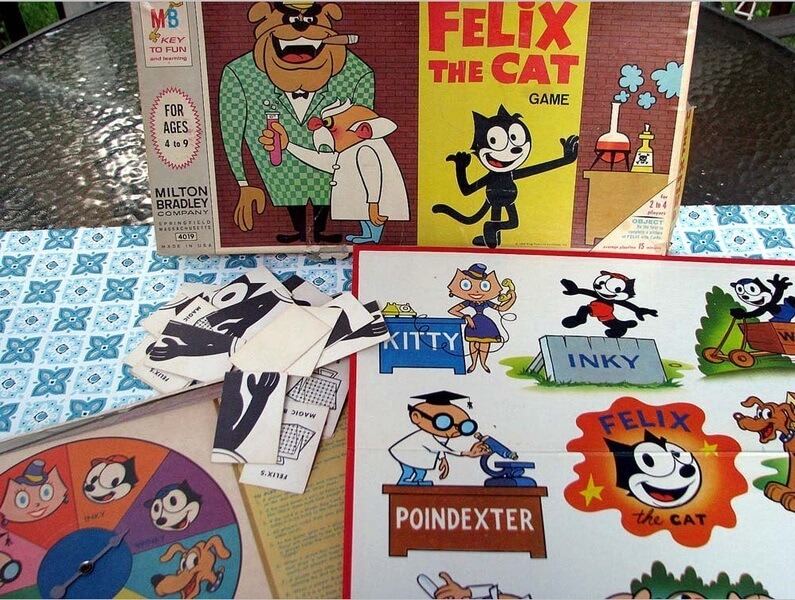 Overall, Felix the Cat Game is just what you’d expect from a 1960’s board game. 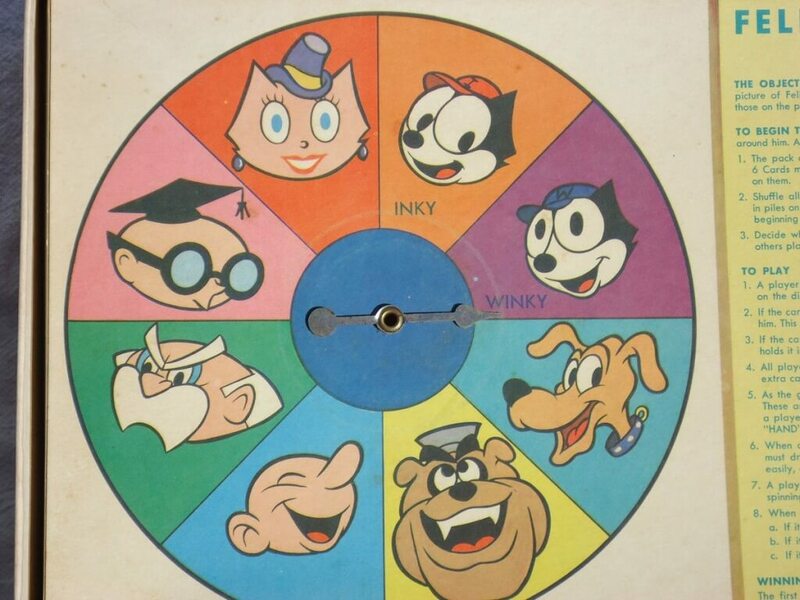 Spin the spinner, some game stuff happens, and after about 30 minutes a random person wins. It’s inoffensive and overall, it’s fine for what it is. It’s directed towards kids, so I can’t be too upset. The game specifically says if you draw a Magic Bag card you can place it facedown in front of you. But they have has no point or purpose! The rules never reference your facedown Magic Bag cards again. Pretty interesting, right? I told you it would be. That’s all for real, this time.